Commendatore Aldo Mancusi who is the founder and curator of the Enrico Caruso Museum in Brooklyn has added his book with the assistance of author and Vice President of the museum, David Mercaldo, PhD. 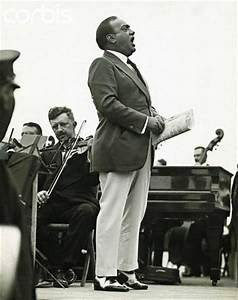 Many have profiled the great tenor since his tragic and untimely death at age 48, in Naples, Italy on August 2, 1921. The book is dedicated to the memory of Michael Sisca, who with his father Marziale Sisca, provided so much memorabilia to the Enrico Caruso Museum. Marziale’s brother, Alessandro Sisca wrote the lyrics to “Core ‘ngrato” (“Ungrateful Heart”) using the name Riccardo Cordiferro. Enrico Caruso, a splendid caricaturist, drew caricatures free for “La Follia di New York” as a favor to his friend Marziale Sisca, the Editor and his son Michael Sisca. Michael Sisca, while a teenager, was present at Caruso’s last recording session in September 1920 and told me that the greatest of tenors, who just returned from a month long tour of Cuba and the United States, had the beginning of his final illness that day, in the form of a cold. His great recording of “Rachel, quand du seigneur” from La Juive, was sung under duress and one could hear Caruso breathing heavily near the golden finale. Sisca, a charming man, always spoke of his friend Caruso and remembers being in bed since it was nighttime during one of his father’s soirees. Enrico Caruso was there, Puccini, Toscanini and a total of thirteen distinguished guests. Caruso insisted they get Michael from bed to join them because thirteen was bad luck. So young Michael Sisca sat with Puccini, Caruso and Toscanini at that unforgettable dinner. Members of the Caruso family from his first “wife” Ada Giachetti (Mistress) and his American bride Dorothy Park Benjamin, have visited the museum as well as Eric Murray, Gloria’s son and Caruso’s grandson and his charming wife Lynne. Eric, a wonderful gentleman, is a board member of the museum. Aldo describes how he first became acquainted with the tenor through his father Evaristo who collected his recordings and his mother Marietta who possessed a lovely soprano voice. 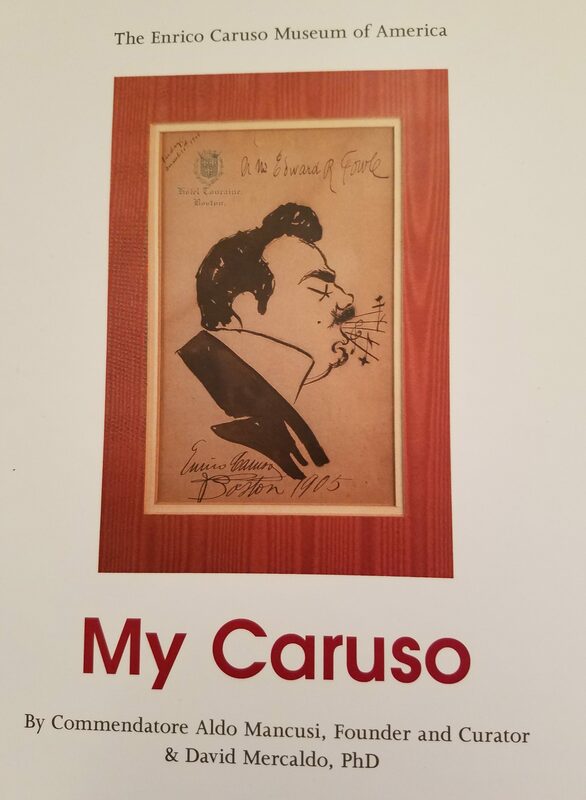 There is an original caricature of Caruso’s father Marcellino, donated by Andrew Farkas who wrote the book, “Enrico Caruso, My Father and My Family” with Enrico Caruso Jr. Mr. Farkas tells the story of Pierre V. R. Key, Caruso’s friend and biographer who saw Caruso weeping backstage after singing Canio in Pagliacci. The great tenor said, “Caruso is a damn fool. He feels too much!” There are pictures of the Enrico Caruso postage stamp. 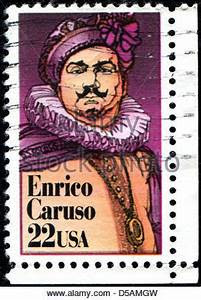 I met Enrico Caruso Jr. (1904-1987) at the Postage Stamp ceremony in the late 1980’s at The Metropolitan Opera House. 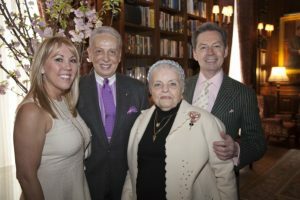 We attended with friends the late Cuban-American baritone and Caruso aficionado Alfredo and his wife Audrey Villoldo. 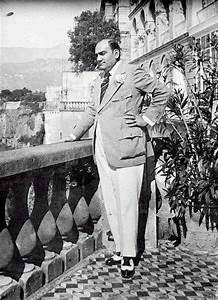 Enrico Caruso Jr. age 82 died a few weeks later (April 9, 1987) He too, was a lovely man – R.I.P! On pages 86 and 87 are the richest and most poignant gift. It is the last photo taken of Caruso on July 19, 1921 in Sorrento, Italy where he went after partially recovering from his illness. (Lifting his robe and showing his still painful wounds in a photo for Dr. Antonio Stella in New York) A piece of scenery fell on him at the Metropolitan Opera during a performance of Samson on December 3, 1920. He had pains on his side but the house doctor, Dr. Horowitz said it was merely intercostal (between two ribs) neuralgia and taped him up. At the Brooklyn Academy of Music (BAM) in Elisir D’amore on December 11th, 1920, Enrico Caruso began bleeding from his throat and the audience begged him to stop. He collapsed backstage and Met Manager Gatti-Casazza said he had an apparition that this was the end. Surprisingly, Caruso sang three times more in great pain, at the Met that month. On December 24th, 1920 Caruso sang Eleazar in La Juive. The photographer Mishkin impulsively took his picture backstage and that was Caruso’s last photo at the Met. That night, Caruso went to his apartment for Christmas supper and began screaming in pain. He was heard many floors below. The doctors operated on him several times, removing a rib, probing deep areas of infection and a lifesaving transfusion. After the transfusion Caruso asked, “Am I still Italian?” Straw was added to the streets below his apartment so that sounds of horse or car traffic would be silenced. 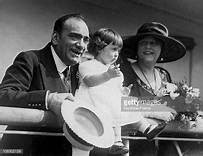 Fifty pounds lighter Caruso, his bride Dorothy and baby Gloria sailed for Italy on The President Wilson on May 28, 1921 from Pier 7 in Brooklyn. He waved to the cheering crowds telling them he would come back “and sing, sing and sing!! !” This film footage still exists. Caruso spent a happy two months at the beautiful Grand Hotel Excelsior Vittoria in Sorrento, Italy. Friends took him on an exhausting tour of Pompeii and his late mother’s old doctor probed his wounds, possibly causing a relapse. Caruso sent a touching letter to Dr. Stella, who he remembered from New York telling him that he still had persistent pain in his side. He opened his robe for a photo of his wounds and sent them to Dr. Stella in America. Dr. Stella received the letter and photo the day after Caruso died. Caruso died on August 2, 1921 in the Hotel Vesuvio on the way to Naples for an operation. There is a caricature of Dr. Stella drawn by Caruso and a copy of his $15,850 dollar bill for the operation which was “shaved” of $850 at Caruso’s request donated to the Enrico Caruso Museum by Michael Sisca. 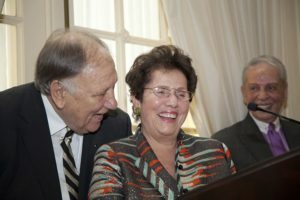 Aldo Mancusi received a copy of the letter and the photo, unexpectedly from a member of Dr. Stella’s family. They are mentioned in the book and it was very sad indeed. Penicillin, not yet discovered, would have saved him. But like Abraham Lincoln, Caruso died in his prime, no decline in his magnificent voice (Despite his heavy smoking of Egyptian cigarettes) and remains unsurpassed. A few years ago in May 2011, Aldo Mancusi got a phone call from 92-year-old Dorothy Alleva from Brooklyn, NY telling Aldo that Enrico Caruso and his wife Dorothy were her godparents. Her parents, Ernesto and Micalina Alleva, owned a restaurant in Manhattan called Villa Manfredi. Caruso and Dorothy loved the restaurant and seeing that Micalina was pregnant said, “If it’s a girl and you name her Dorothy we will become her godparents – well, that is what happened. The baptism papers and photographs show it all. Even the beautiful dress that Dorothy Caruso purchased can be found at the Caruso Museum. Caruso was loved and that is only one small example of his kindness, generosity and largess. 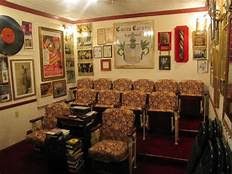 Aldo’s museum, now thirty-five years old, evolved over time and when a tenant left, Aldo was able to use even more space and to give lectures. Artist Marguerite Celesia created a beautiful “sign in” book with Caruso as the Duke in Rigoletto on the front cover. I remember WQXR Opera radio host George Jellinek signing in. Aldo’s wonderful wife Lisa always supported and accompanied Mancusi to many Caruso areas in Naples where they befriended one and all. 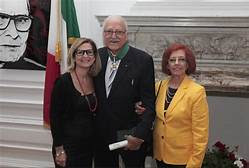 Many musical and political figures have attended the museum and Aldo Mancusi, like the great Caruso, is a “Commendatore” of the Italian Government. In 1997, former Mayor Rudolph Giuliani helped Aldo celebrate Enrico Caruso Day at Merkin Hall in New York City where a proclamation was given. Great grandson Riccardo Caruso sang a Caruso favorite “M’appari” from Martha by Frederich Von Flotow. 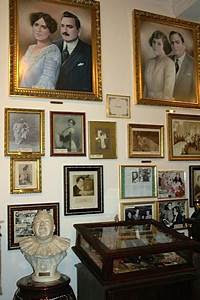 MetOpera tenor, Marcello Giordani, visited as did both Caruso families. Former Brooklyn Borough President, the ebullient Marty Markowitz listened to Caruso’s “Over There” at the museum with the former Italian Consul General Natalia Quintavalle. 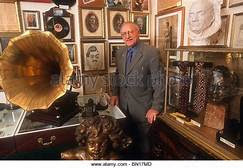 New York City Opera bass and Brooklynite neighbor the late Don Yule and his wife artist Jaye Adams visited the old phonographs and recordings and found them to be a great source of fascination. The mini-theatre is named after Michael Sisca and Met Opera soprano Licia Albanese. 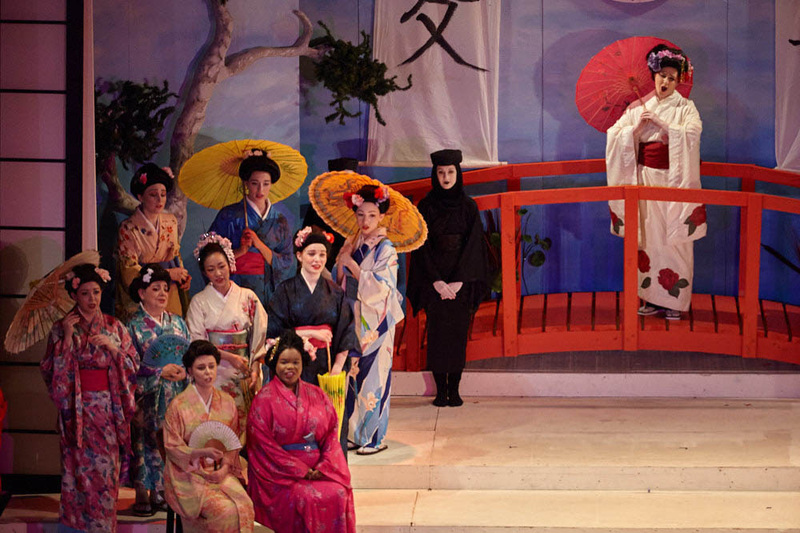 (1909-2014) Licia Albanese also contributed her Madama Butterfly costume and other items from the Metropolitan Opera. Chairs and old Met Opera wall panelings were gifts from the late board members Enrico Aloi and Joseph Puglisi. They were fans and friends of the late soprano Rosa Ponselle who was a Caruso protege. There is a lovely photo taken by my wife Judy of Mme. Albanese at age 104 joyfully laughing to see her friends Aldo and Lisa Mancusi. A few decades before, the effervescent cable television opera host Lina del Tinto and husband Harry Demarsky introduced Aldo and Lisa to Judy and me and it was a wonderful moment. 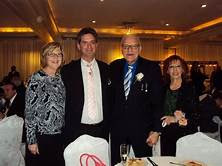 Board member and opera lecturer Lou Barrella and his wife Kathleen, volunteered their talents and efforts for the museum; Giuseppe Sarcona and Maria Valenti helped to translate into Italian, Mancusi’s daughters Kim Collins and Cindy Borriello are valued board members and Anthony Mancino, artist and illustrator from The Readers Digest with his beloved wife Grace who is now with Caruso in Paradise. Aldo Mancusi and board member, Vice President and author, David Mercaldo, PhD have created a mini-masterpiece in this beautifully written and crafted publication. Linda Mercaldo, like Lisa Mancusi gave their talented spouses the freedom of time to create this wonderful tribute to Enrico Caruso and we thank them for that! The book is almost 100 pages of memories, stories, photos, hopes and dreams, colors, caricatures. His over 200 recordings from “Celeste Aida” and “Pagliacci” to “O sole mio” and “Core ‘ngrato” with their message of loves joy and sadness bring out humanity to its fullest and make us all uplifted to a heavenly realm. Enrico Caruso, from Naples, Italy, conquered the world with “Vesti la Giubba,” the first million selling record. Caruso was held as an idol and example for the millions of Italian immigrants who were made proud by the voice of gold that emerged from the old phonograph horn to give them pride and hope. Not only the opera “swells” at the Metropolitan Opera where he sang over 600 performances in the house from 1903 until 1920, loved the man and the voice, but Caruso loved people of all backgrounds. The man on the street heard his big-hearted message of humanity through song through the Victor Record Company and his many personal kindnesses. Enrico Caruso sang over 20 performances at Brooklyn Academy of Music with the Met on tour and also sang at the police games and a Liberty Loan Rally at Sheepshead Bay Racetrack in Brooklyn on Labor Day 1918. Aldo Mancusi holds forth the banner that gave light to the world. The great sorrow remains that Enrico Caruso did not live long enough to enjoy his wife Dorothy and daughter Gloria. In the book, Aldo Mancusi takes Enrico Caruso on a tour of his museum and knows that he would be pleased. 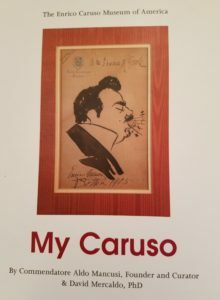 The book is available through The Enrico Caruso Museum of America and you can email Commendatore Aldo Mancusi at amancusi@enricocarusomuseum.com. Phone-718-368-3993. The seventy-five dollar price is a truly worthwhile investment! It is like a carriage ride to an exciting past, a past that still lives through the resounding voice of the great Enrico Caruso. This “foot in the past” surely gives hope for the future. Visit the museum by appointment only at 1942 East 19th Street in Brooklyn and see for yourself! At the prestigious Lotos Club in New York City, Elysium between two Continents celebrated its 31st Annual Erwin Piscator Award. 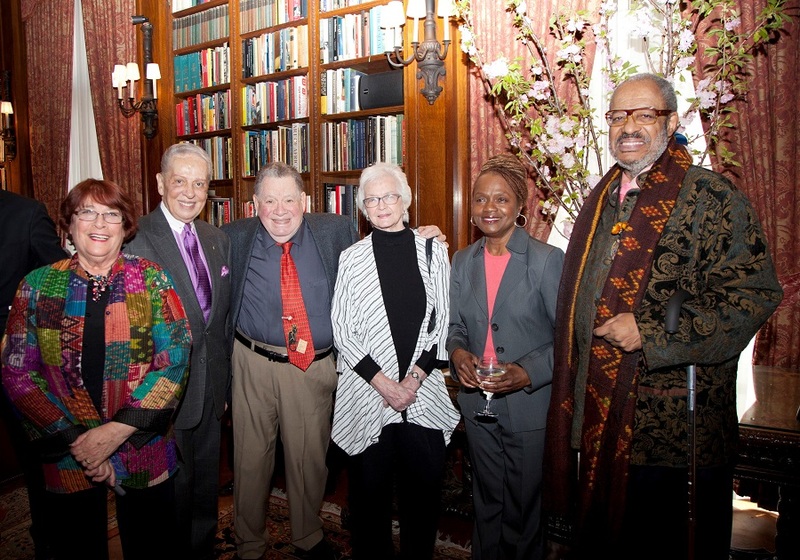 The luncheon on Thursday, April 5th honored J. T. Rogers, Broadway and political playwright and Jolana Blau, longtime Elysium supporter and its Vice President for her immense humanitarian efforts on behalf of arts and culture. In the excellent program booklet, designed and edited by Michael Lahr, there is a message of greeting by The Lord Mayor of the University Town of Marburg, Germany where a house was opened in 2016 called the Erwin Piscator House entirely dedicated to culture. 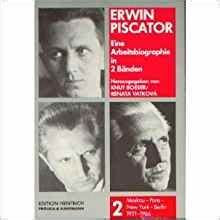 In Marburg, Erwin Piscator spent his formulative school years and after his return from exile in the United States. In 1951, he directed 4 plays with record attendance.” On behalf of the community of Marburg, I congratulate the honorary Piscator award recipient, the philanthropist Jolana Blau and this year’s Piscator award recipient, J.T. Rogers on this worthy distinction.” The booklet also had Best Wishes from New York Mayor Bill de Blasio. New York Governor Andrew Cuomo also sent a note of congratulations to J.T. Rogers and Jolana Blau. Gregorij H. von Leïtis, Founder and President of the Erwin Piscator Award and Michael Lahr, Chairman, work to benefit Elysium’s International Educational Programs in conjunction with The Lahr von Leïtis Academy and Archive that promotes “Art and Education without Borders.” These programs follow Erwin Piscator’s humanitarian goals to educate the next generation. Their light takes us out of a dark place. “Hate is a failure of Imagination” is a recurrent theme of Elysium and Gregorij von Leïtis and Michael Lahr have toured many countries to spread the word. They are like two brilliant planets that are a vital part of the positive success of our solar system. The welcome followed by Gregorij H. von Leïtis, who truly relished seeing this beautiful afternoon develop with enlightenment like some wonderful garden of rare flowers. Alexis Rodda opened the program with “An die Freude” (Ode to Joy) by Franz Schubert, with a text by Friedrich Schiller. 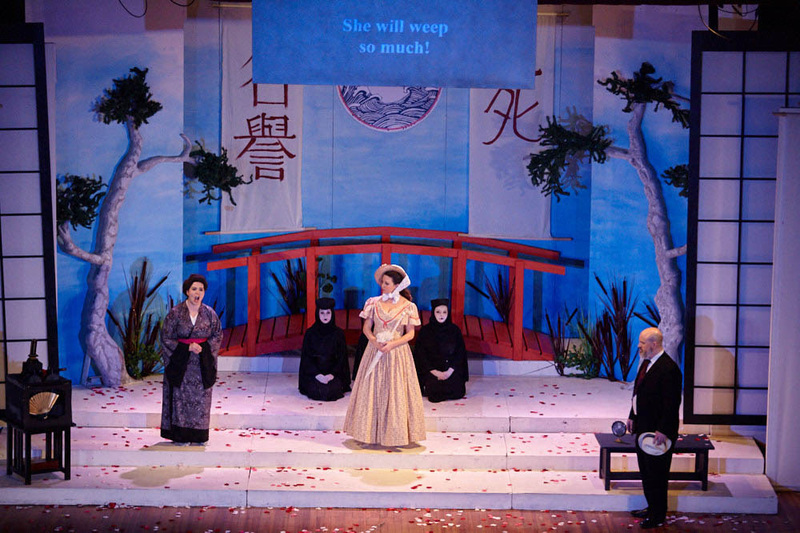 Ms. Rodda’s splendid soprano soared and flooded the room with joyful abandon. Her excellent piano accompanist was Dan Franklin Smith. “Schiffahrt” with music by Egon Lustgarten transferred us to a salon, matching the treasures of the Lotos Club. Lush voiced Alexis Rodda and her fleet fingered accompanist Dan Franklin Smith, evoked a past era, perhaps of cognac and a good cigar (Or a pastry with a dollop of whipped cream and a cappuccino). 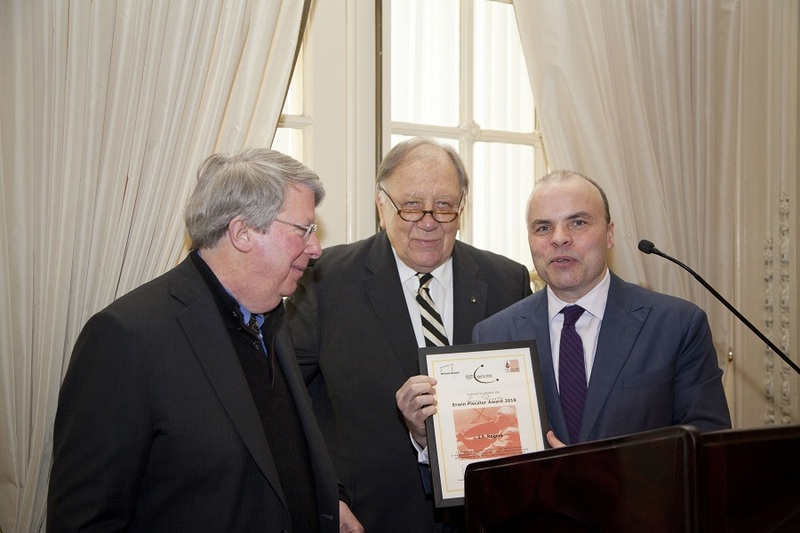 Among the guests were representatives of several illustrious consulates stationed in New York: Miroslav Rames, Consul General of the Czech Republic, Jens Janik, Deputy Consul General of Germany, Julius Pranevicius, Consul General of Lithuania and Karel Smekal, Deputy Consul General of the Czech Republic. 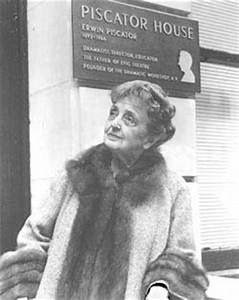 Lya Friedrich Pfeifer, Vice Chairperson and President of the Max Kade Foundation has been a wonderful supporter of Elysium between two continents as well as Mrs. E.L. Doctorow, whose brilliant late husband wrote Ragtime & Louise Kerz Hirschfeld Cullman, whose late husband was the illustrious illustrator/caricaturist Al Hirschfeld, whose works are all over Sardi’s Restaurant on Broadway in the theatre district and many other venues. The elegant Michael Lahr made the introduction of André Bishop, Artistic Director of Lincoln Center Theatre, who was to make the award to famed playwright J.T. Rogers. 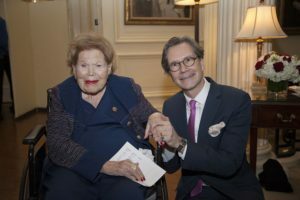 Since Bartlett Scher, the international director of theatre and opera could not attend, Mr. Bishop happily filled in with an inspiring tribute to J.T. Rogers. Rogers gave a brief but truly touching response to an award that represents a lifetime of observing and creating plays such as the award winning Oslo at Lincoln Center and then Broadway and London that not only moved people, but in the right direction. His works have been staged throughout the United States and other venues and Rogers has received many acknowledgments of his work. Gregorij H. von Leïtis also spoke eloquently of the importance of such performances as Oslo and Blood and Gifts, which are in the tradition of Erwin Piscator. Judy and I chatted briefly with J.T. Rogers and he was the epitome of bonhomie and effervescence. Michael Lahr then introduced distinguished Chev. 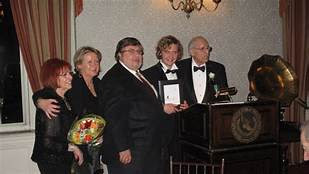 Cesare L. Santeramo, who along with his lifetime partner Dr. Robert Campbell, have been at the fore of generosity of spirit and time and are lionized by all who know them. Cesare Santeramo introduced the awardee, Jolana Blau. 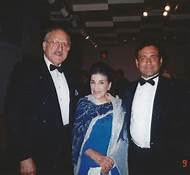 Mr. Santeramo was a tenor of renown with the New Jersey State Opera and active with the Licia Albanese-Puccini Foundation. He also held a high position with Western Electric. 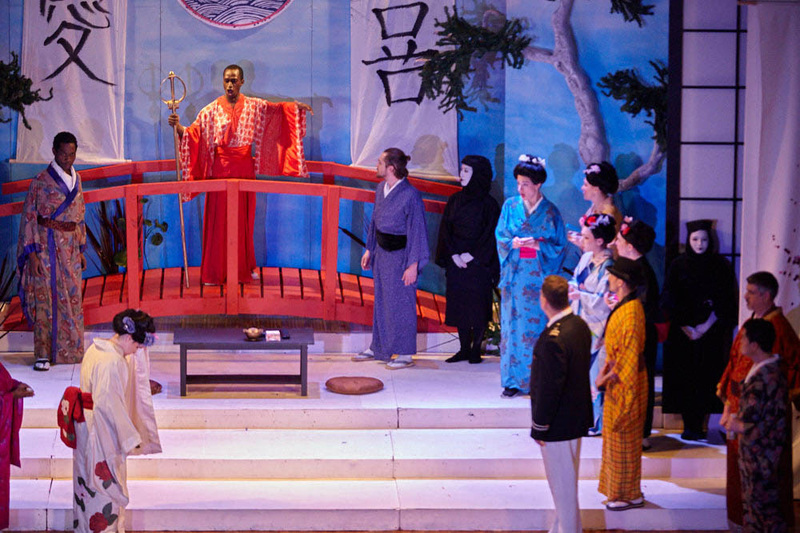 His versatile career also included the Board of Opera Index, Let there be hope and Polish Assistance of New York. His is a vital and vibrant presence a past winner of the Piscator award, ever chic and ever head over heels with life, music and helping those in need. Jolana Blau, a concentration camp survivor, who experienced the horrors of the Holocaust, was liberated in 1945.”It is so important to remember – therefore I am grateful for the work that Elysium is doing. The younger generation, through Elysium’s programs must learn the lessons from history.” Jolana Blau was awarded the Honorary Erwin Piscator Award in memory of Maria Ley Piscator – Erwin Piscator’s wife. After the Prague Spring in 1968, Jolana Blau and her daughter Simona, emigrated via Austria to the United States in 1972. Jolana married Vojtech Blau an antique rug and tapestry dealer whose company supplied rugs and tapestries worldwide and also to the White house. After Vojtech’s death in 2000, Simona Blau managed the company privately. Vojtech himself was also in a concentration camp. The labyrinth paths and twists of fate are written in the sands of time. It was a pleasure to meet Jolana Blau’s charming and appreciative two daughters, daughter- in-law and family. Kathryn Hausman, accompanied by two friends, presented Ms. Blau with a lovely floral bouquet. Soprano Alexis Rodda sang “Spiel auf Deiner Geige” by Robert Stolz with joyful abandon and dance “Here on the banks of the blue Danube, here in the beautiful Hungarian land, one sings other songs while drinking Tokay” (text by Alfred Grünwald/Ludwig Herzer and translation by Michael Lahr) and brilliantly accompanied by Dan Franklin Smith. Ms. Rodda was a vocal symbol of the strength and resilience of her songs. They spoke for the winners past and present who, despite obstacles beyond belief, have emerged with messages of freedom of expression and universal love. The names Gregorij H. von Leïtis and Michael Lahr are exalted and they are revered during their lifetimes. They are a force for the good. I leave with a quote from Gregorij H. von Leïtis, “I thank each of our honorees for the Erwin Piscator and Maria Ley Piscator awards, our guests, at the 31st Erwin Piscator award luncheon, our supporters friends and colleagues who join us on our way to create a world of creative and educational exchange and mutual friendship between the people of the United States and the world.” The award winners are immersed in their life’s work but hearing the praise will keep them aware that there are those who applaud, care and are motivated to do the right thing. As we finished our delicious luncheon and went out into the chill of an uncertain April, we know that, thanks to Elysium – between two continents, Spring will come and the warmth of enlightenment will give us peace, joy and creativity in a milder, more gentle and giving world. 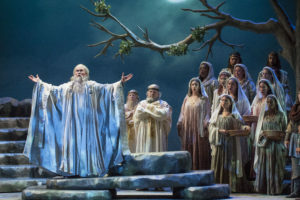 The Sarasota Opera presented a thrilling first performance of Norma by Sicilian composer Vincenzo Bellini (1801-1835) who created this masterpiece with librettist Felice Romani. 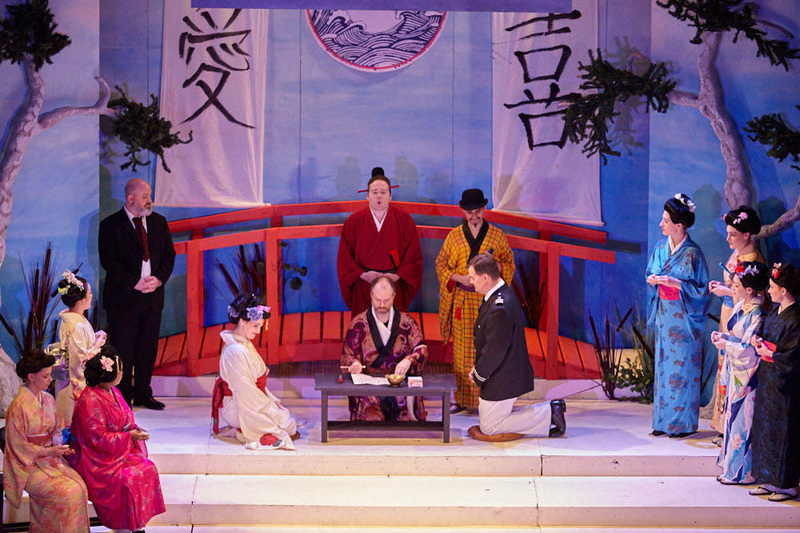 The opera is both tuneful and full of conflict and truly different in a new and revolutionary way. 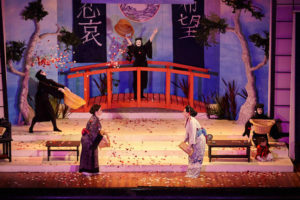 The combination of chorus, aria and cabaletta, a fast aria after the lyrical passages that brings the passage to a dramatic trilling and thrilling usually with a high note finale. Norma had an abundance of melodic sweep made for what was seemingly a fiasco but became a much loved “must see” hit in the opera world preceding Verdi but with strong hints of a new direction for opera. 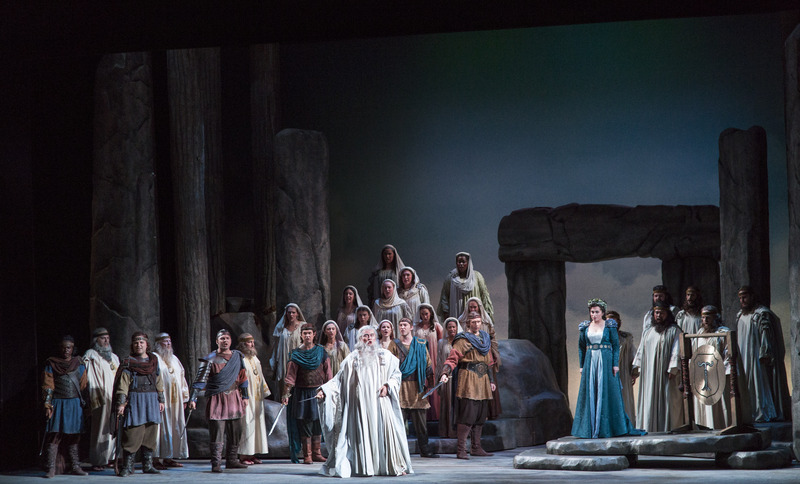 Norma had its world premiere at La Scala in Milan, Italy on December 26th, 1831. Bellini’s early death was tragic indeed, but like Mozart or Brooklyn’s George Gershwin, what he accomplished in his short life was eternal. 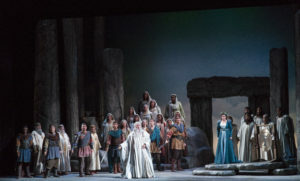 My first Norma was at The Metropolitan Opera, (MetOpera) circa 1956 with Mario Del Monaco and Maria Callas. Callas was vocally unsteady, but visually captivating even then, but Del Monaco as Pollione revealed a voice of heroic mettle and Herculean thrust. 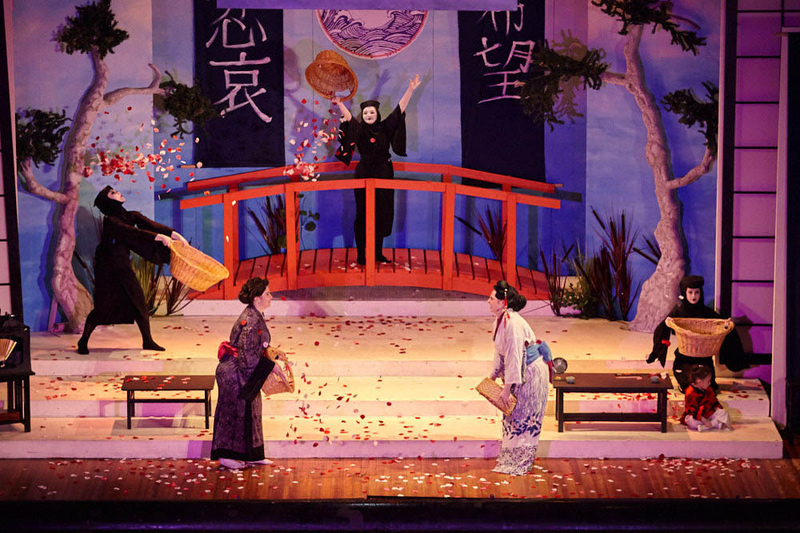 After the spirited overture, we see a stage evolve into brilliant color. Suddenly, we were in Gaul during the Roman occupation. It was like coming out of cataract surgery and seeing the world with colors you forgot existed. Cameron Schutza, truly as Pollione, looked the warrior in his colorful costume. Mr. Schutza has a very fine tenor with metallic grace and sang heroically. 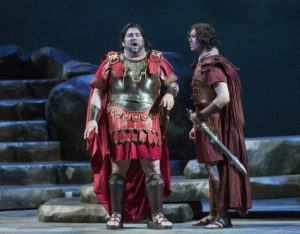 Cameron Schutza as Pollione (left) & Thomas Massey as Flavio. Photo by Rod Millington. Mr. Schutza whose tenor was of more modest means than the stentorian Del Monaco had a fine reliable instrument that gave warrior resonance to his arias and certainly heroic flair to “Svanir le voci” which was very well done. His lyrical passages were also present enough to evoke sympathy for his character. Some of Bellini’s “choppy” war like passages were like Betty Davis “a bumpy ride” before a triumphant take off. “Me protege, me defende.” Mr. Schutza was indeed a force as Pollione and one I shall remember. I still can’t understand why he strays unto fiery death with Norma and becomes a prosciutto Pollione when he played with two women so casually earlier. But that’s opera! Pollione fathered two children with Norma and then became lover to her best friend Adalgisa and he is a detested Roman also. 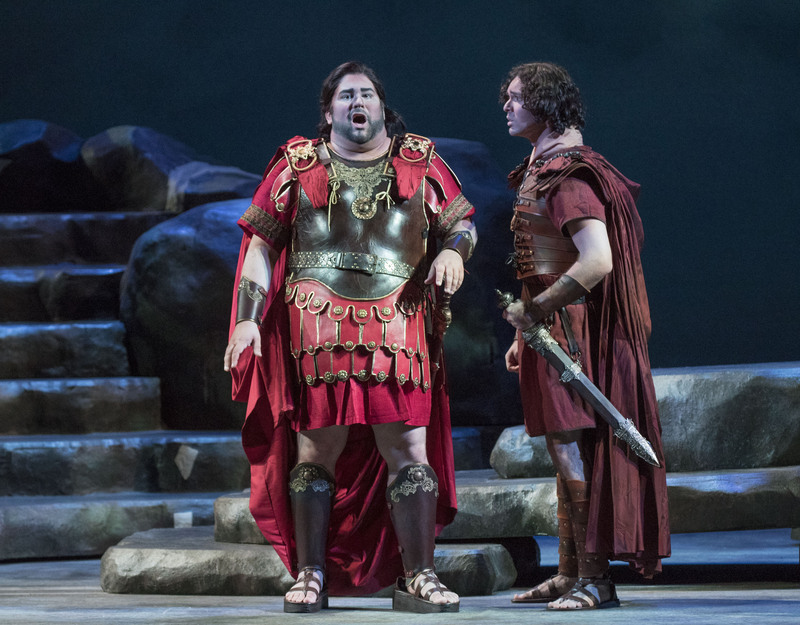 George Costanza was accused of “double dipping” in Seinfeld but Pollione is even worse! 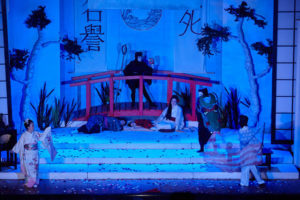 Oroveso, Norma’s father, the Chief Druid, was in the presence of Young Bok Kim. Mr. Kim has a moderate sized lyrical basso with an amazing quality of emotion in it. His expressive eyes and face were part of an ensemble of humanity. His opening aria “Ite sul colle o Druidi!” showed how much Mr. Kim is able to get from his vocal arsenal. His final scene with Norma,”O in te, ritorna” was like a rainbow of turmoil from anger to acceptance. A truly impressive and passionate performance. Oroveso Chief Druid (Young Bok Kim – left in blue). Photo by Rod Millington. Norma the Druidess, was Joanna Parisi. This was her first performance of this brilliant opera. 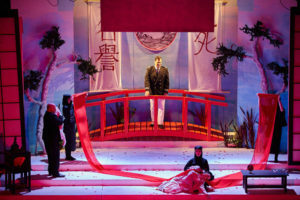 I have heard Callas, Caballe, Milanov, Sutherland and Jane Eaglen in this unique role and I rate Ms. Parisi very high both vocally and dramatically. 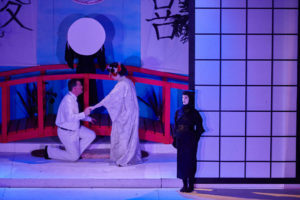 Ms. Parisi was a wonderful Butterfly with the Sarasota Opera last season, so I know she has the “goods.” Her Norma seemed to have, as it should, a dual personality both in voice and as a person. She would suddenly go up and come down to a Hades like low or go up and touch the hem of the gods “non so, diversi, affetti”. One thing prevailed, love, and deepened her humanity. Her decision to be the “guilty” one and join Pollione in the fire but making certain that her children are raised by Oroveso was that of a woman and a mother. 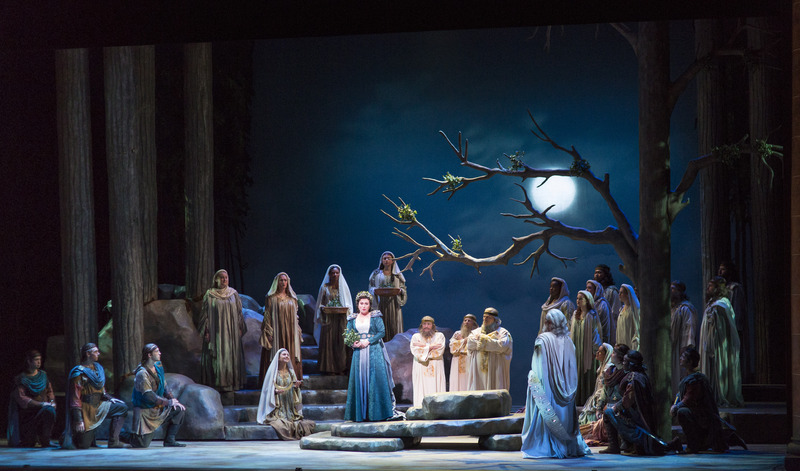 Joanna Parisi, Druidess (center in green) as Norma. Photo by Rod Millington. Casta Diva, quite possibly the most beautiful music ever written, was sung divinely. 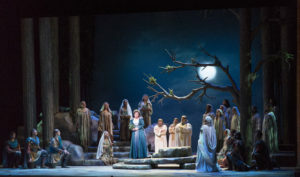 When the chorus joined in, as Norma, under the light of the moon, delivers sacred mistletoe and flowers, one is transformed to another world until Bellini, through Norma, sets you down. 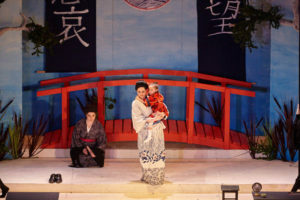 Norma’s (Joanna Parisi) confrontational scenes with Adalgisa were angry, then compassionate and their scenes together were quite exciting. Legendary soprano and Norma, Rosa Ponselle (1897-1981) made a famous recording of “Mira O Norma” with mezzo Marion Telva in 1927 (as well as her own glorious Casta Diva) and captured the vitality and melody of this soprano-mezzo duet and triumphed! Jennifer Black, Cameron Schutza & Joanna Parisi. Photo by Rod Millington. Adalgisa was portrayed by Jennifer Black. Ms. Black has a truly radiant soprano voice and I did not hear any dark tones overshadowing the bright freer ones. She sang beautifully, with passion and was particularly-engaging in the Mira-Norma duet. 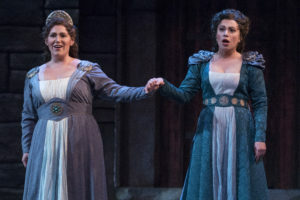 She and Ms. Parisi were outstanding in their long scenes together, “Salva mi, dal mio cor” with plenty of the coloratura, fioritura, and vocal variations of the day sung to illuminating perfection in the Bellinian style. Verdi admired Bellini, who set the musical world in a firmer more cohesive direction. Norma (Joanna Parisi) with children. Photo by Rod Millington. Nicole Woodward (Studio artist) was a noticeable Clothilde, Norma’s confidant. Her rich mezzo was ear worthy and savored. Thomas Massey (Studio artist) was Pollione’s friend Flavio and revealed a strong tenor and good stage presence. 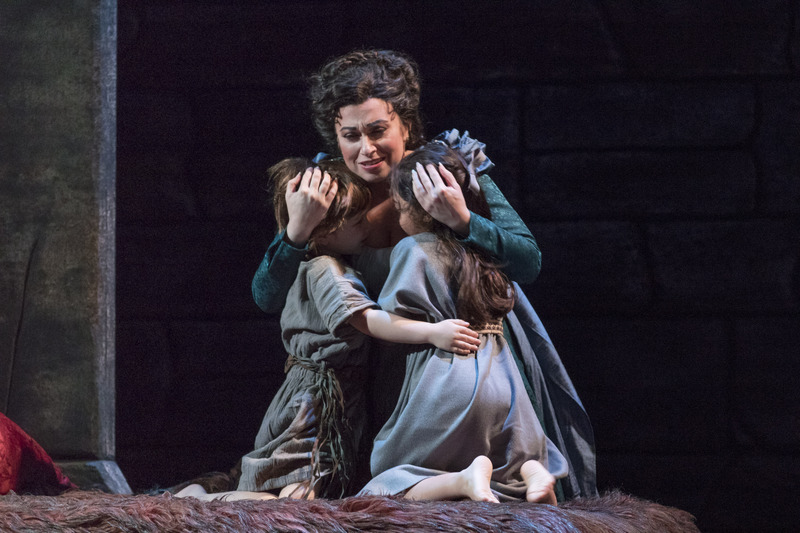 Norma’s children were both excellent and brave enough – no wonder they happily survived her tantrum. 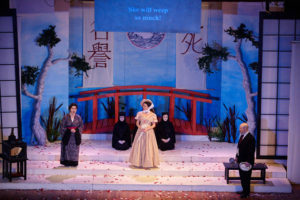 Adalgisa (Jennifer Black) & Norma (Joanna Parisi). Photo by Rod Millington. Music director and Maestro Victor DeRenzi gave Bellini a truly brilliant reading from the overture to the incredible finale. The excellent musicians are much appreciated for their treasured efforts. Kudos also to Mark Freiman, Stage director for his easy to follow, brilliant and thoroughly digestible and memorable episodes on stage. Oroveso Chief Druid (Young Bok Kim) center in white & Norma (Joanna Parisi) & Pollione (Cameron Schutza) on right. Photo by Rod Millington. 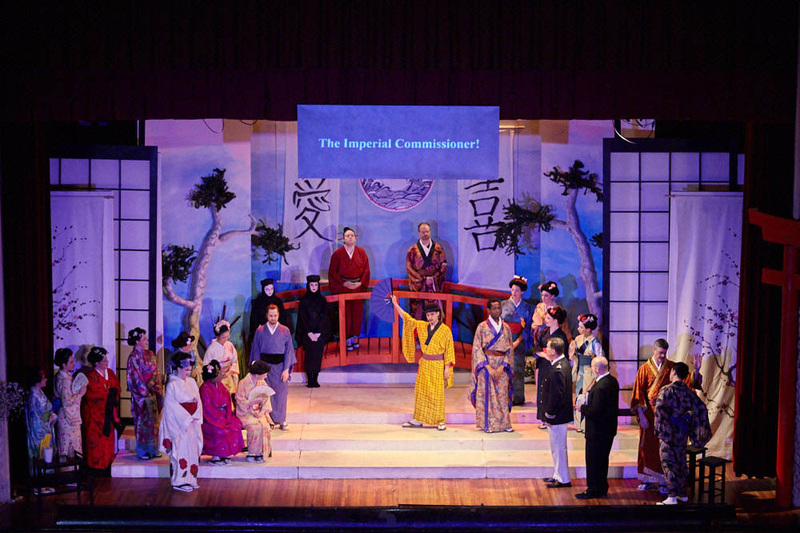 Scenic designer Michael Schweilkhardt for the brightness of his designs and the clarity of purpose-easy on the eye dazzling as a spectacle. 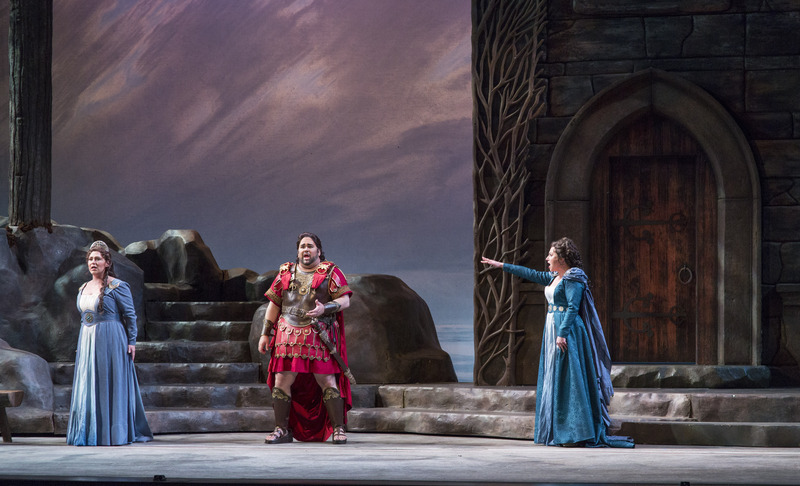 Costume designer Howard Tsvi Kaplan’s triumphant ware for Pollione and outstanding costumes for Norma as a leader and as a woman. 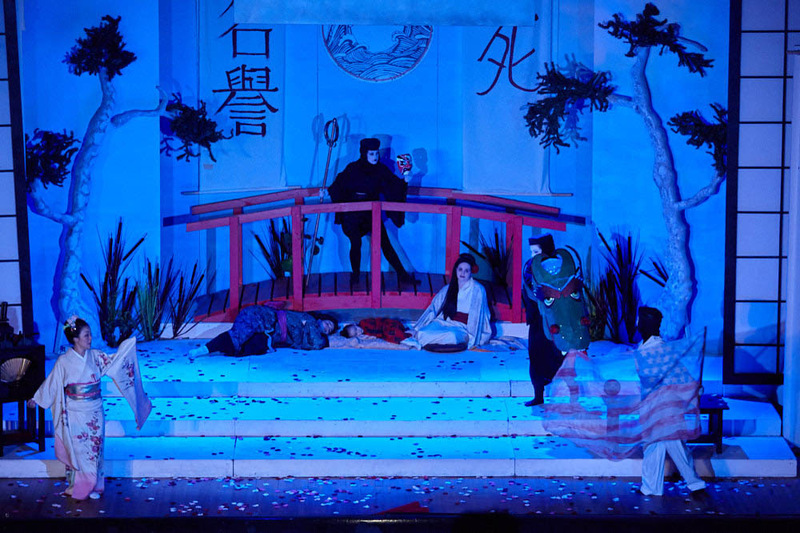 Ken Yunker’s lighting design was both vibrant and at the finale full of impact and flame. Hair and make up were by Brittany Rappise-subtle and striking but never overdone. The chorus excelled under Roger L. Bingaman. The Casta Diva and “Guerra, Guerra” episodes were quite thrilling. 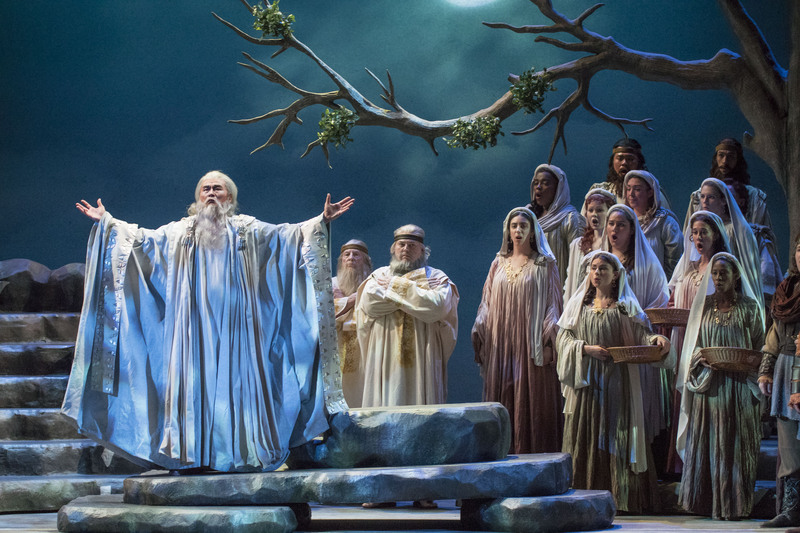 Executive Director Richard Russell who once resided in Brooklyn wrote in the beautiful program article featuring “Opera can transform our souls.” We chatted with our neighbor Greg Trupiano, longtime Director of Artistic Administration. Ready for a nearby ice cream at “The Farmacy” in Brooklyn, Greg? We missed Sam Lowry, former Park Slope resident who heads Audience Development and thank him for his assistance. It was nice to chat with opera lover, August Ventura and his charming vibrant mother Romola and their friends from Brooklyn. Ventura was showing excerpts from his forthcoming Verdi film and the opera Luisa Miller at the opera house that week. Come to beautiful Sarasota – like Judy and me! They will shine like magic with Victor DeRenzi and his splendid company!